RH Chicago – The Gallery at the Three Arts Club was awarded the ‘Transformational Retail’ award, while the Arts + Recreation Center at Ellis Park was awarded the ‘Community Impact’ award in the the 6th Annual ULI Chicago Vision Awards. The Vision Awards recognize the full development process and best practices in development, making a difference in the city of Chicago. RH Chicago – The Gallery at the Three Arts Club rethinks the traditional commercial experience with spaces designed to blur the lines between retail, home, and hospitality. An extensive and precise renovation undertaken with Chicago Landmarks’ counsel ensured that historical elements were preserved and restored, contributing to the character of the new retail space. The Arts + Recreation Center at Ellis Park embodies a healthy, comfortable, and cultural environment, playing a critical role in nurturing a community that is recovering from years of neglect. The Center serves area residents of all ages, contributing significantly to the revitalization of the neighborhood it serves. Learn more about RH Chicago – The Gallery at the Three Arts Club by clicking here. Learn more about the Arts + Recreation Center at Ellis Park by clicking here. 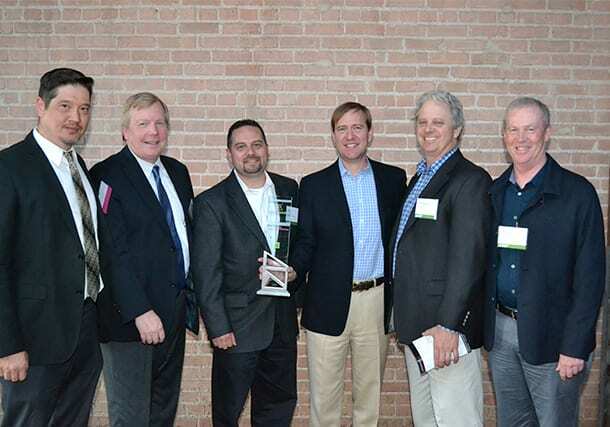 See all award winners at ULI’s website.